The amount you end up paying when you are caught driving recklessly can differ according to which state you live in, according to recently released data. The information, taken from insurancequotes.com (via MarketWatch), shows how insurance rates can tend to rocket when you are pulled over for even the most minor road offense. But what makes this data really interesting, is the difference in the price hike, depending on which state you are in. 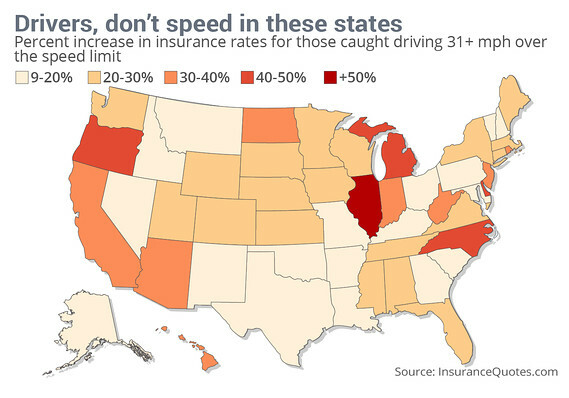 When it comes to speeding, you don’t want to live in Illinois. When caught driving more than 31 mph over the speed limit in this state, insurance rates climb an average of 103 percent. The national average is 29.26 percent. If you are going to speed, you might want to do so while living in nearby Missouri, as your insurance is likely to only rise by nine percent. 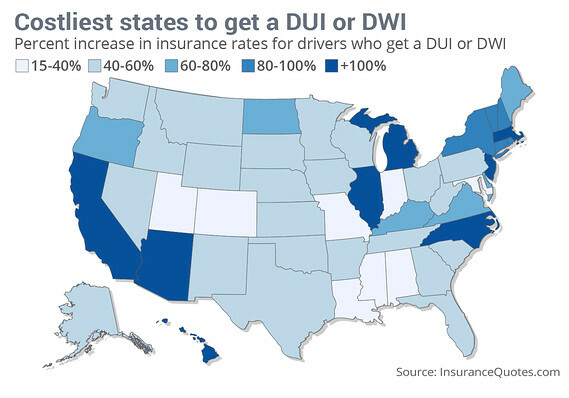 No one should ever drink while driving, but when you do so in North Carolina, you can expect a insurance rate hike of 337.14 percent, as is the average there. This is the costliest of all violations however, as the national average is a 92.49 percent rise. Moral of the story, don’t drink and drive. 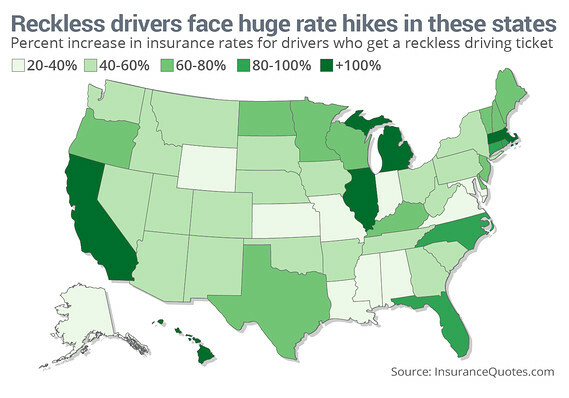 Reckless driving will cost you an average of 83.29 percent more on your insurance. The highest hike is Hawaii, where rates can jump nearly 287 percent. California is in second place. As you can see from these charts, it never pays to drive recklessly. While you might have previously thought that the worst that could happen was a one-off fine, the reality is a lot more expensive. You might need to check out one of our courses more than you think! For more information, head over to MarketWatch or insurancequotes.com.